Former campaign manager for Donald Trump, Corey Lewandowski. President Donald Trump's former campaign manager has filed a $5 million lawsuit against his New Hampshire neighbors over access to a pond-front property. 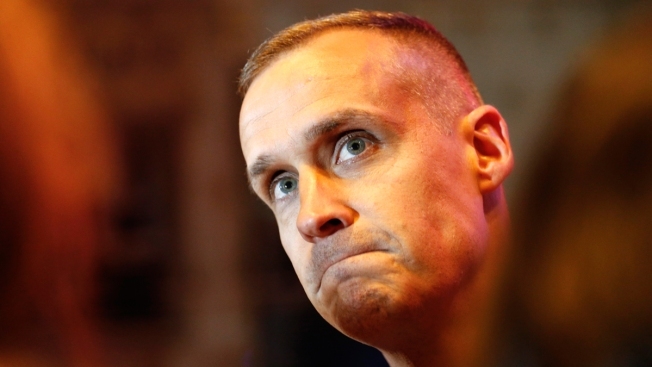 The Eagle-Tribune reports that Corey Lewandowski says his neighbors in Windham have blocked an easement that officials granted him so he could reach the tract. Lewandowski, according to court documents, is constructing a garage at the property. The lawsuit claims the neighbors hindered the project by posting no-trespassing signs and personally confronting him and his contractors. The lawsuit also claims the neighbors have reduced the size of the easement by blocking parts of it. Lewandowski is seeking compensation for the "breach of easement, breach of quiet enjoyment, negligence, interference with property rights and emotional distress." A lawyer for the neighbors, Glenn and Irene Schwartz, did not return a call for comment.